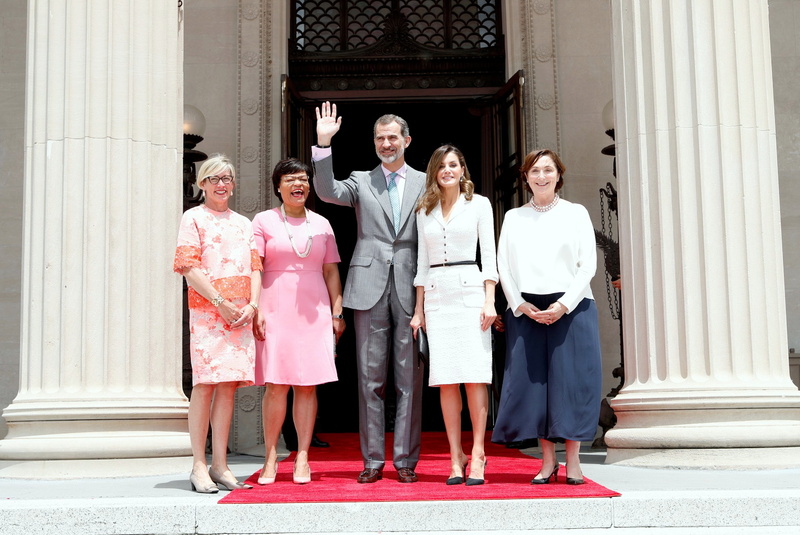 Spanish King Felipe and his wife Queen Letizia began their day 2 of State visit by King receiving in audience from North American historians and presidents of the main universities of New Orleans. Later in the morning, Don Felipe and Doña Letizia visited the New Orleans Museum of Art (NOMA). Upon their arrival, they were received by the mayor of New Orleans, Latoya Cantrell; the director of the museum, Susan Taylor, and the assistant director of the museum, Ann Baños. At Museum the royal couple attended three performances related to the roots and cultural mergers of the city. Dr. White and his jazz quartet performed the traditional song “Panama”; Mardi Gras, Native American group with colorful costumes performed a typical Mardi Gras festival choreography, and the composition “Andalusian Strut”, a musical piece specially composed for the occasion of the royal visit was played. Later, Don Felipe and Doña Letizia held a reception with a representation of the society of New Orleans having members of Spanish community living in the city and a group of descendants of the first settlers of the Canary Islands. At noon, King Felipe and Queen Letizia bid their farewell and departed from the New Orleans airport for the next part of the state visit in San Antonio, where they will be received by the mayor, Ron Nirenberg, and Bexar County President Nelson W. Wolff. On second day of the visit, we saw Letizia in the familiar tweed dress she premiered in October 2017 during her visit to city of Valencia. 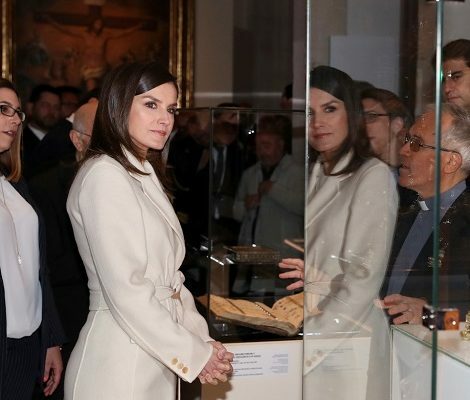 Letizia wore white tweed dress from Felipe Varela. The white fitted tweed dress features notched collar, silver snap button bodice and patch pockets at the front. She recently wore when the royal couple welcomed Colombian President and First Lady at Royal Palace in May this year. Once again Queen paired the dress with thing black belt. Letizia chose black accessories for the day. She was wearing black pointy-toe mules with vinayl strip. Due to the lack of clear pictures they were quite difficult to identify. 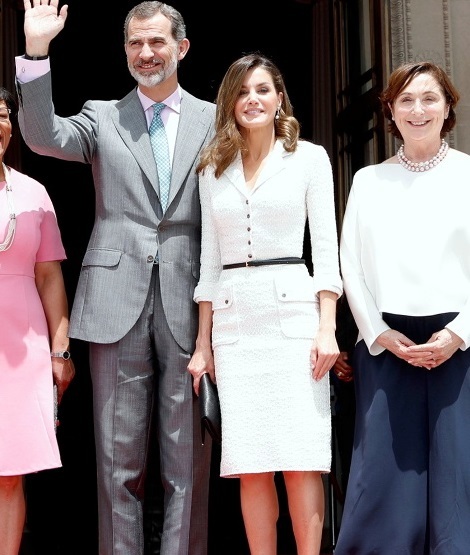 It seems Letizia was carrying her Felipe Varela Clutch. 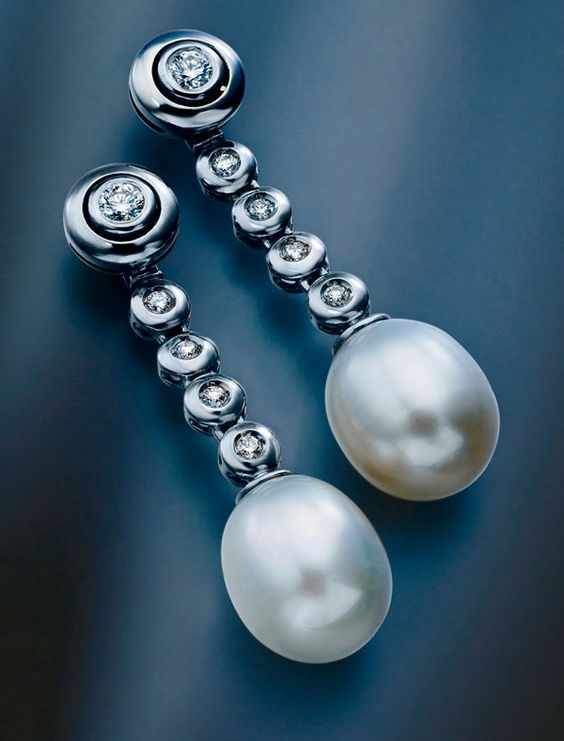 Her Australian pearl and diamond earrings finished the look.